Merino Kids announced that scientists have found that babies sleeping in natural merino wool sleep sacks are less likely to overheat and less likely to become damp or chilled compared with babies sleeping in synthetic ‘polar fleece’ baby sleep sacks. 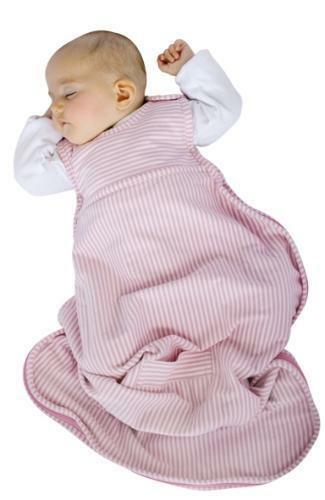 The scientists at New Zealand’s largest Crown Research Institute, AgResearch, compared the Merino Kids merino wool baby sleep sack with the most widely-used polar fleece baby sleep sack and determined that the Merino Kids sleep sack had 80 times higher moisture vapor absorption to help keep a baby dry and comfortable throughout the night. Sleep sacks keep babies covered and warm and take the place of blankets which can cover a baby’s head. Head covering is identified as a risk factor of SIDS. Overheating an infant may also increase their risk of SIDS and the AgResearch team analyzed baby sleep sack properties that influence the thermophysiological comfort of sleeping infants. In other words, how the sleep sacks would affect the ability of a baby’s body to manage heat and moisture to maintain its normal thermal balance. The results of the scientific study indicate that the Merino Kids merino sleep sack is likely the best option for maintaining a baby’s thermophysiological comfort and well being in a wide range of conditions. The merino sleep sack was found to have moisture vapor absorption over 80 times higher than the polar fleece sleep sack. This means that a baby sleeping in the merino sleep sack would be less likely to get damp in areas where moisture vapor transmission is restricted, such as between baby and mattress. Babies often get damp while sleeping, from, for example, condensation of perspiration. The merino sleep sack was found to have lower air permeability but the same moisture vapor transmission as the polar fleece sleep sack. The lower air permeability means that in a merino sleep sack the baby is better protected from chilling from normal air movement such as drafts or air conditioning. The Merino Kids sleep sack was found to have lower thermal resistance than the polar fleece equivalent as a result of its different knitted fabric structure rather than the different constituent fiber. This lower thermal resistance means that the baby is less likely to overheat in the merino sleep sack. The high thermal resistance of the polar fleece sleep sack, which means it is warmer in completely still air, would be of value in cold environments without airflow. Any normal airflow in the baby nursery would reduce this thermal resistance because of the polar fleece sleep sack’s lower air resistance. If the room temperature rises, the polar fleece sleep slack might result in the baby becoming uncomfortably hot and damp because of polar fleece’s low moisture vapor absorption. Merino wool is a natural renewable resource, re-growing on the merino sheep after shearing. Polar fleece, also known as ‘microfleece’, is a synthetic material derived from non-renewable petrochemical sources invented to mimic wool. Evolution has endowed the merino sheep with an amazing fine wool fiber with beneficial properties yet to be replicated by synthetic fabrics. Merino clothing is worn by top athletes and adventure sports enthusiasts due to its remarkable natural ability to regulate body temperature; it readily absorbs and releases moisture to keep the wearer warmer in cold conditions and cooler in hot conditions. Unlike standard wool, merino is lightweight, allergy-safe and won’t itch. So although it is clear that merino wool is growing in popularity among outdoor enthusiasts, the merino wool industry is pushing to dominate the luxury market in all forms, and what better direction than marketing towards children. Below is a video with additional information regarding the sleep sack or “Go Go Bag”. This entry was posted in Industry News and tagged babies, industry news, merino, merino wool, sleep sack. Bookmark the permalink.